The Viña Alberdi Reserva is a relatively new label of the traditional Bodega La Rioja Alta, it was first launched in 1978 to replace the Tercer Año. It is made from 100% Tempranillo grapes from the vineyards Las Monjas, El Palo and Las Cuevas in Rodezno and Alto del Rey in Labastida. This classic Rioja red wine is aged for 24 months in small oak barrels, produced by the bodega itself. 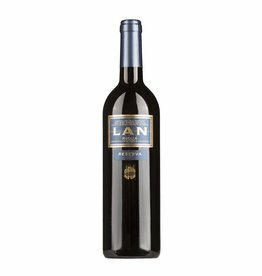 This wine is the entry into the world of La Rioja Alta wines and is characterized by a consumer friendly price. In Robert Parker's Wine Advocate awarded it 90 + / 100 points, a high praise for this class (for vintage 2012).